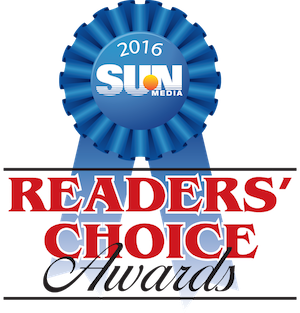 Arrowwood Alexandria was voted 2016's Best Family Resort & Waterpark by the readers of the SUN Media Group in the Twin Cities. Aquatic adventures await you in our huge indoor waterpark! At the Big Splash Minnesota Indoor Waterpark, you'll find 38,000 square feet of fun featuring three 4-story-tall waterslides. Grown-ups and kids alike can float down our Lazy River on an inner tube or relax in our tropical whirlpool spa. And the whole family will love the children's play fort with water blasters and geysers, a basketball shootout, lily pad waterwalk, and more. Just watch out for "Calypso Cabana", the 500-gallon splash bucket! The Big Splash Minnesota Indoor Waterpark is open daily in the summer and on Fridays, Saturdays, and Sundays in the winter. Sunday: 9:00 a.m. -8:00 p.m.
Sunday through Thursday: 9:00 a.m. - 9:00 p.m.
Friday & Saturday: 9:00 a.m. - 10:00 p.m.
Are you looking for our Waterpark calendar (PDF)? Look no further. Please note that hours may vary. For holiday hours and calendar changes, please contact us or give us a call at (320) 762-1124. Host your next birthday party in a tropical paradise, no matter the season! For a unique spin on birthday party fun book Big Splash waterpark on Sundays 1:00 - 8:00 p.m..
You can make the celebration extra special with cupcakes, now just an additional $1.25 + tax per cupcake! Lock in your birthday party date today by calling our Waterpark Manager directly at (320) 762-1124 x280! Scheduling is based on availability. Whatever the occasion, bring your group to our Big Splash Waterpark for hours of fun. We offer special group rates for groups of 10 or more—contact our Waterpark Manager at (320) 762-1124 x280 today for a quote. Parents may wish to view our Waterpark rules and expectations before stopping by. Please note that anyone over 12 months of age is required to have either a General Admission or a Spectator pass to enter the Waterpark. If you are a hotel guest and your rate includes waterpark passes, the passes will be valid starting at 1:00 p.m. on the day of your check-in. Non-hotel guests simply need to contact the Waterpark the day of to check availability of general admission passes. Just call us at (320) 759-5015. Monday - Thursday: $15.95 all day, or $11.95 after 4:00 p.m.
Friday - Sunday: $20.95 all day, or $15.95 after 4:00 p.m.
Rates may vary. Please note that weekend rates may apply to holidays. If you are not planning on entering the Waterpark other than to supervise your group or family, you can purchase a spectator pass for just $5.00 per person. Please ask the Admissions Desk for more details. We’re happy to help. Contact us anytime or give us a call during business hours at (320) 762-1124.